First thing's first, if you're going to get started with the end-game, you need to unlock World Tier 1. Unlocking world tiers is rather simple, and players will only need to reach max level and complete the main story to do so. If you were the kind of player that participated in most of the side-missions and activities in each area while leveling up, you will undoubtedly be level 30 long before engaging in the final mission--the Capitol Building Stronghold. Once you unlock world tiers, your world will be upgraded to World Tier 1 allowing you to start looting gear which has a "gear score" associated with each piece. 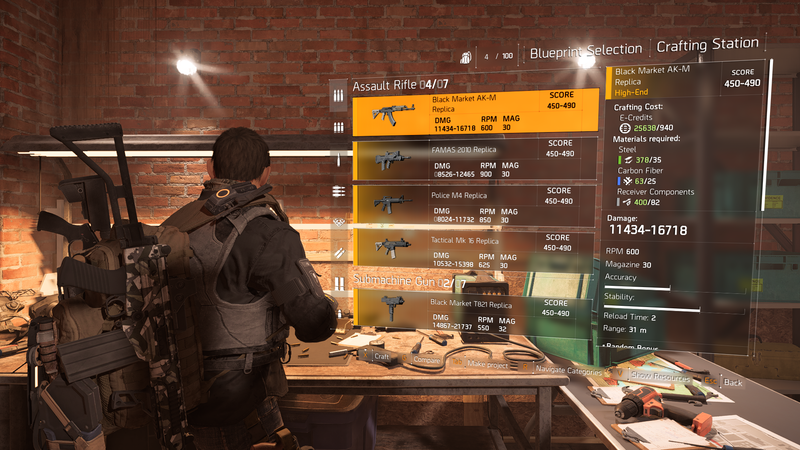 Gear score will give you an idea of how good a piece of loot is, and higher gear score items will drop based on your average equipped gear score. Each world tier has a gear score bracket attributed to it, and items will have a maximum gear score that can drop within a given world tier. Players looking to progress from one world tier to the next will be required to clear invaded versions of the strongholds that you played through towards the end of the story. Each of these strongholds has a minimum required gear score that you must be before you can clear them, and world tiers 1-4 each have their own stronghold that you must clear before you can progress to the next world tier. I would recommend matchmaking for a group to clear these the moment that you reach the minimum required average gear score in order to progress to the next world tier as soon as possible. 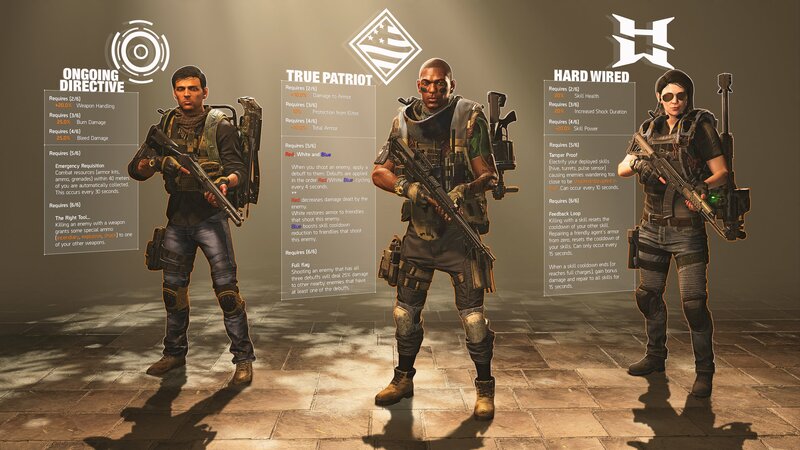 Players who complete the Capitol Building Stronghold for the first time will notice that a new faction called Black Tusk, a private military contractor, has invaded the city. Many of the missions and strongholds that you've cleared before will now be occupied by this new dangerous faction and you'll need to re-play these old missions to push them back! Black Tusk uses high tech gadgets and strategic positioning to overwhelm their enemies, so take caution when engaging them. Once you've pushed Black Tusk back, you won't have to worry about them invading your map again until you reach World Tier 5. After unlocking World Tier 5, Black Tusk will begin invading missions on a weekly reset, which should give long-term players new activities to look forward to completing each week. Almost all of the main and side missions are re-playable, and you may increase the difficulty of these missions from your map to increase the rewards you gain from completing them. Story mode is the difficulty that you originally completed the mission on, but Hard, Challenging, and Heroic are available to scale up the difficulty and rewards. 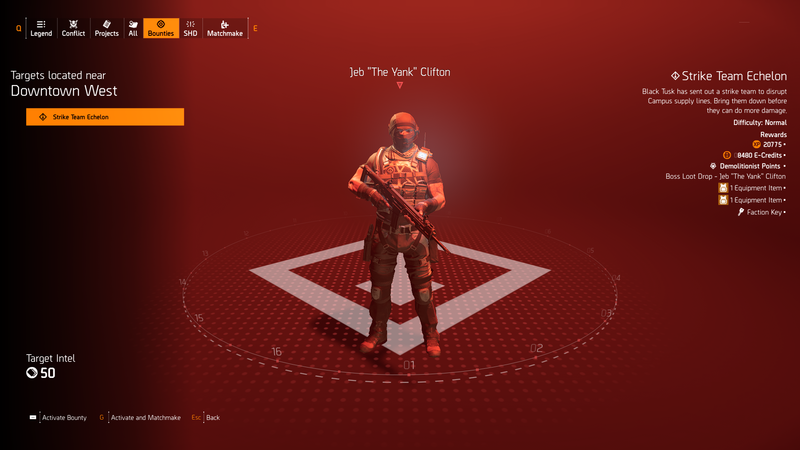 Heroic was added during the Invasion: Battle for D.C. content patch which also added World Tier 5 to the game and it offers the most difficult version of the missions, but also the most rewarding. It's worth noting that there is no gear locked behind Heroic missions that you are unable to get out of lower difficulty settings. There are daily missions available through projects that will award players with additional rewards for completing specific missions on Hard and Challenging. It is my recommendation to match-make when deciding to clear out missions on harder difficulty settings. While they can be completed solo, it will require a lot of time and personal skill to do so successfully. Playing with a group of other players, even those you've never met before, will allow you to complete missions faster and even possibly share loot with one another. 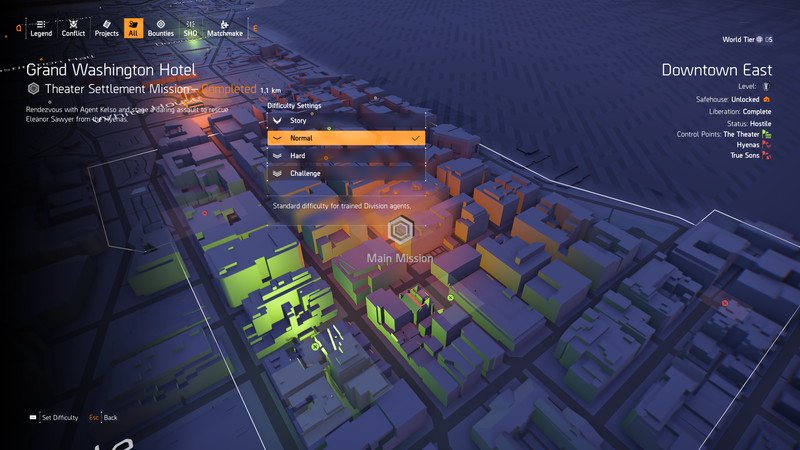 Projects are another component of The Division 2's end game, and work similarly as they did while leveling up. Some projects will reset daily, and there will be others that have a weekly reset timer. 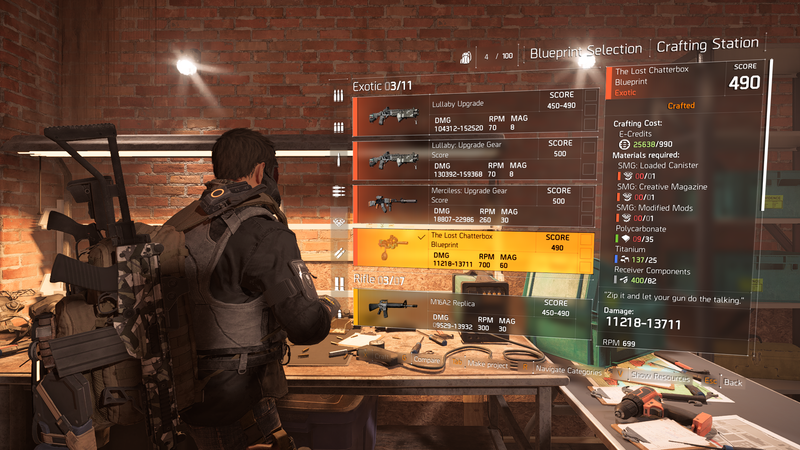 Completing these projects may reward players with new crafting schematics and powerful pieces of gear. Other projects will require you to donate specific pieces of gear, either by type, manufacturer, or even pieces with specific talents. Players interested in PvP will also notice some PvP related projects that they may complete for additional rewards each week. With the Invasion: Battle for D.C. content patch, a new type of "Event" project has been added to the game. These event projects are tied to specific events happening in the game, and completing them may reward players with powerful pieces of gear or unique apparel cache key's for exclusive event themed cosmetic items! I highly suggest upgrading your crafting bench each time you increase your world tier. Through crafting, you can get a significant boost to your average gear score upon entering a new world tier, or even just patch up some of the weaker items you may still have equipped from the previous one. Most items are crafted within a gear score range, which enforces the idea that crafted gear should be less lucrative once you are nearing the gear score cap for a given world tier. Some Exotic items, which are extremely powerful items with crazy effects on them, can be crafted at the crafting bench. These Exotic items often require a large amount of resources to craft, including unique exotic resources that you may find within the world, but are well worth the time invested into crafting them. Some Exotic items can be found as drops from specific bosses and will reward players with a crafting pattern to upgrade them to a higher gear score. Bounties are a great way to farm powerful pieces of gear, especially if you're burnt out from doing other activities. Each region has a set of minor bounties to go kill, and completing them will reward you with gear and Target Intel. The Target Intel can be used to purchase higher value targets which are more rewarding, but also more difficult to kill. 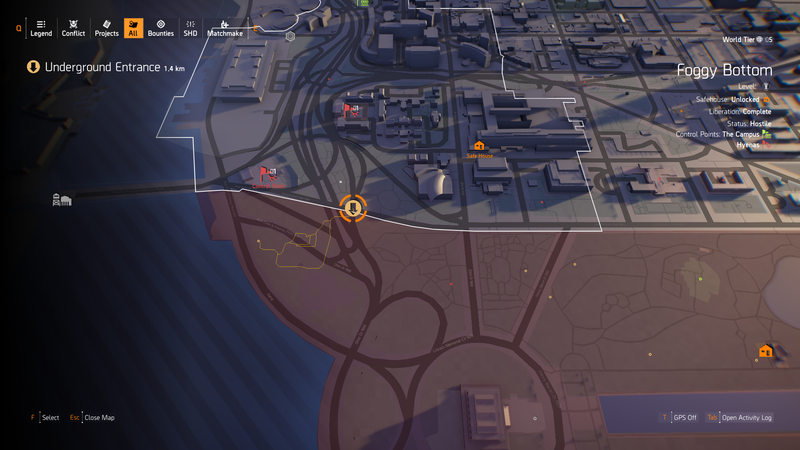 When examining the bounties on the map, you may notice that there are a series of lines connecting each area to one another. 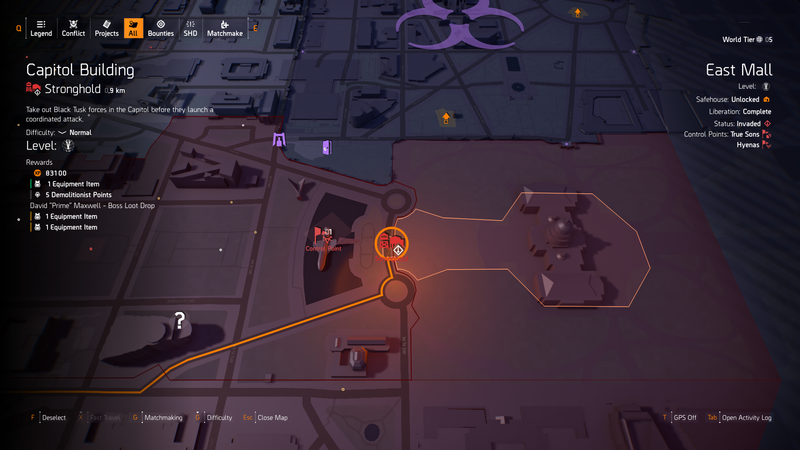 These lines are the bounty network, and by completing bounties you will unlock new bounties to track down in connected zones. Eventually you will kill your way through each bounty until you reach the center of the network where the most challenging and rewarding bounties await. 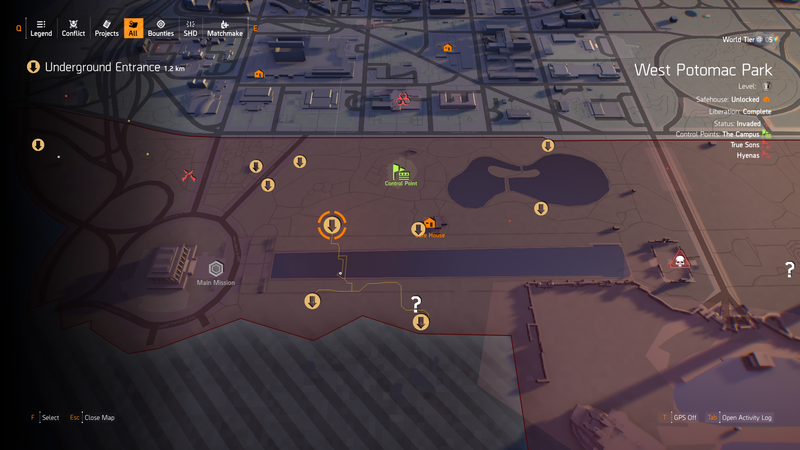 Once you unlock World Tier 1 and Black Tusk invades D.C., all of the control points you've since captured will reset and gain additional functionality. Each control point can be cleared and looted again, and will eventually be re-captured by enemy factions if left without supplies. Keeping a control point supplied will help keep it in your control, and players who wish not to be slowed down by enemies in specific areas will focus on a handful of control points to keep hold of. 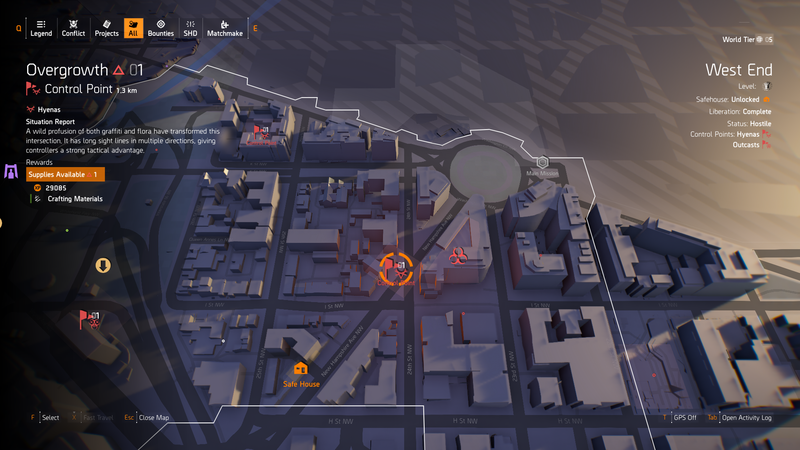 Control points can also be increased in difficulty by completing side activities connected to that specific control point, as shown by a connected line on your map. For example, a control point may have a nearby propaganda broadcast connected to it. Clearing that broadcast will increase the rating of the connected control point from 1 to 2, and will become more challenging but also more rewarding. You may do this to a control point until it reaches a rating of 4, where it will be the equivalent difficulty of a Heroic mission. The challenge rating of a control point will slowly go down over time, so players who accidentally increase the difficulty of a control point they wanted to capture will simply need to wait a period of time before it lowers in difficulty once again. Faction caches can be very lucrative for rewards, but require faction keys to open. Players who are looking to farm faction caches can enter the D.C. underground to find key lockers mounted on walls. These lockers will reward you with a random faction key, and reset after 24 hours. I suggest farming the two sewer locations in the screenshots below every now and then to have a surplus of faction keys available to you at any given time. Make sure to contribute supplies to a nearby control point for a loot and enemy visibility buff, as it will aid in finding the key lockers within the sewers! Hyena faction caches have a chance at dropping exotic SMG crafting materials. Collecting all three will allow you to loot the Chatterbox exotic SMG schematic from the Hyena faction cache within the vault, in the Bank Headquarters mission. It's worth mentioning that the schematic will drop only once you have all three exotic SMG parts, but will be a guaranteed drop on any difficulty of the Bank Headquarters mission once you have them. World Tier 5 was added in the Invaded: Battle for D.C. content patch, and is unlocked once you complete the new Tidal Basin Stronghold mission. Tidal Basin is the Black Tusk stronghold, and features large open combat arenas that suit the cover-based combat of The Division 2 perfectly. Completing Tidal Basin will unlock World Tier 5, which will increase the gear score cap to 500 and allow you to begin looting the new Set Piece Items. These set pieces have powerful bonuses associated with them, and players will need to wear 5/6 and 6/6 pieces to gain the effects of the unique set bonuses. Each set also has strong 2, 3, and 4 piece bonuses that can massively boost your overall character power. Completing Tidal Basin will reward you with at least one piece, but reaching World Tier 5 will allow these items to begin dropping from enemies. New projects have been added that require you to turn in special components found on enemies in the open world, and in return you'll be rewarded with a schematic for crafting one of the sets! 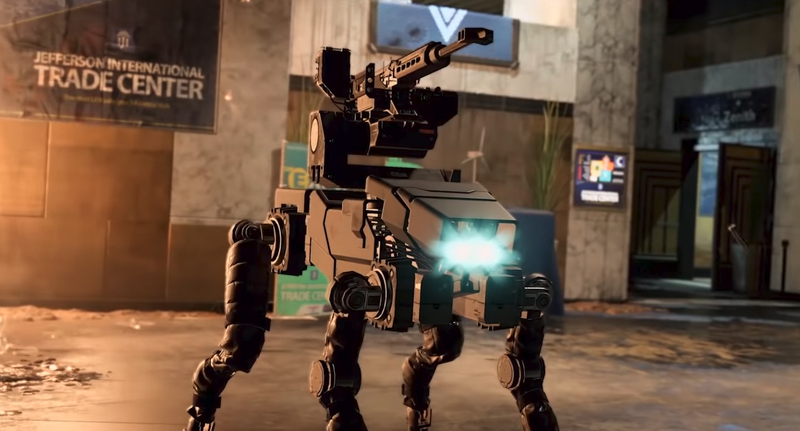 Invasion: Battle for D.C. was just the first of many upcoming updates that will expand The Division 2's end game. On April 25th, an 8-player raid will be added to the game, rewarding players who can complete it powerful new items to their arsenal. 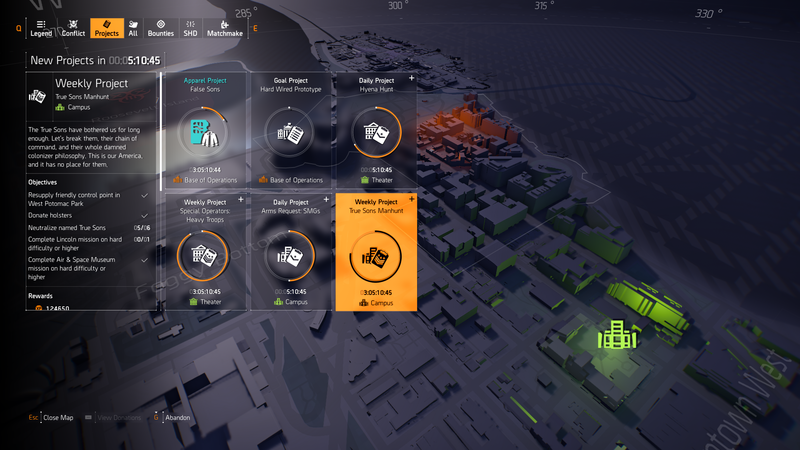 The original Division experimented with extremely difficult raid-like missions which required skilled players to work together in order to complete; however, they ultimately felt over-tuned and were only worth completing a handful of times. The new 8-player raids sound like a bold new type of content for players to engage with, and add yet another piece of content to an already fleshed out end-game.